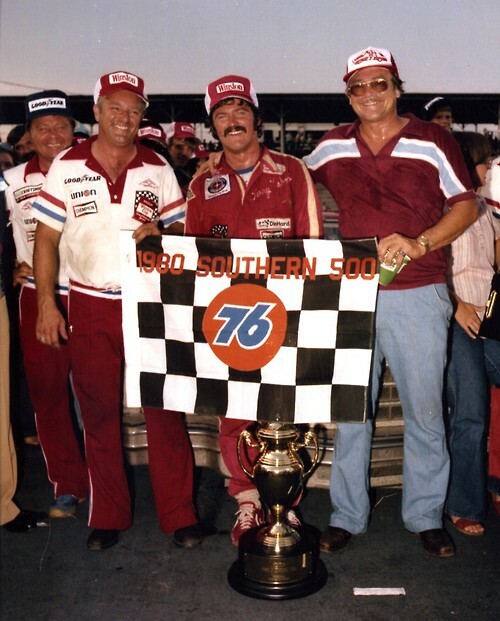 The 1980 Southern 500 at the famed Darlington Raceway gave NASCAR fans a brand new superstar and a surprise finish. A packed house of 75,000 avid fans on a hot, hazy, and humid Labor Day buzzed in the egg-shaped 1.366-mile superspeedway waiting for that epic moment that hits nearly every race – the decisive beat signalling victory or defeat. At Darlington in 1980, that moment happened when a late race caution flag flew for a Cale Yarborough’s spin down the front stretch, resetting the field for the five remaining laps of the race. 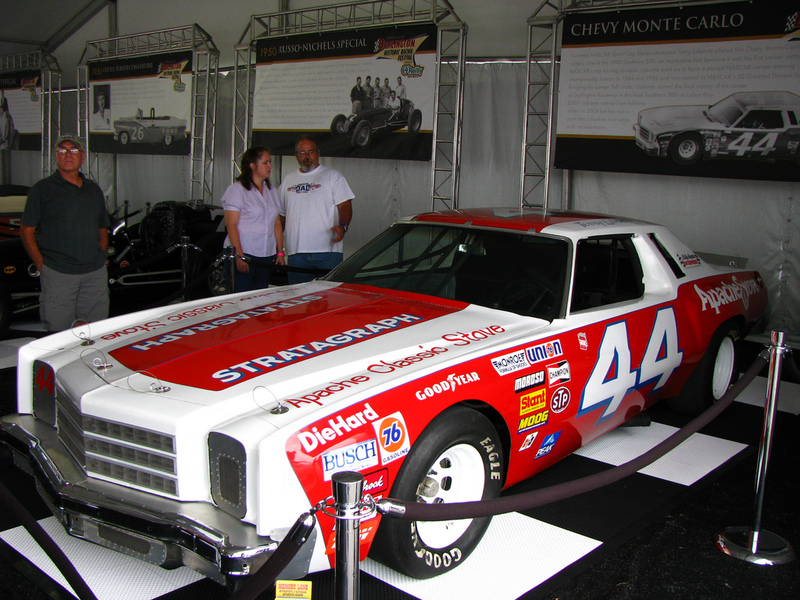 David Pearson took over as the leader, driving the Hoss Ellington’s Hawaiian Tropic Chevrolet Monte Carlo, after Darrell Waltrip’s DiGard/Gatorade Chevrolet lost power due to a broken timing chain. 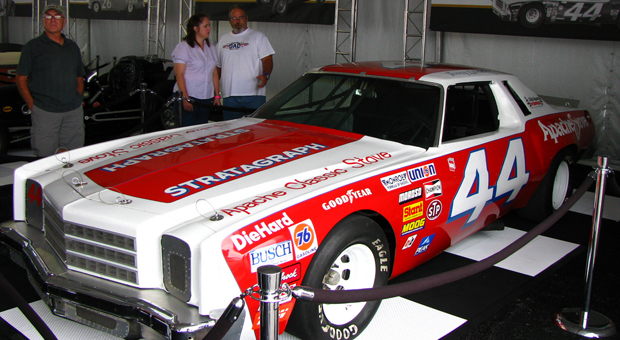 Waltrip had dominated for 196 laps of the 367-lap event. The field bunched up behind Pearson when the green flag waved with Benny Parsons driving for M.C. Anderson in second, Dale Earnhardt in his Rod Osterlund Chevrolet third and Terry Labonte piloting the Billy Hagan/Apache Stove Chevy, fourth respectively. Parsons made a quick move at the green to pull alongside Pearson for the pass, but had to back off in turn two, giving Earnhardt the outside momentum to get by Parsons. With three to go Earnhardt dove to the inside and for just a moment took the lead. Pearson, using his years of Darlington smarts, followed the fast lane staying high and moving around Earnhardt to get back in front. From there, it looked like clear sailing for Pearson. Then with all eyes on turns three and four, independent campaigner Frank Warren blew his engine entering turn one, at the same time leaving an oil slick in his wake. The rest of the field was crossing the start/finish line to begin lap 365 and the leaders were barreling toward turn one. Pearson, Earnhardt and Parsons lost control, sliding in the oil and crunching their race cars into the outside wall. Parsons spun to the inside while Pearson tried valiantly to maintain his speed and distance over the field. Pearson’s damaged Chevy had knocked all the handling out of his car and was slowing down enough to negotiate turns three and four when a new name appeared on the lead lap: Terry Labonte, who’d somehow escaped the melee. Labonte was rapidly approaching out of nowhere, looking to pass Pearson for the win. The pair charged to the finish with Labonte hitting his accelerator just quick enough to pull along side of Pearson, who blocked to the inside pushing Labonte down the track. Labonte surged forward just enough, slipping by Pearson a slim two feet in front as they crossed the line, winning Labonte his first NASCAR race at the age of 23. It took Labonte four hours, 21 minutes and five seconds at an average speed of 115.21 mph to win the race and $27,325. The Darlington slugfest saw 14 caution flags thrown for 79 laps. Harry Gant, Benny Parsons, and Neil Bonnett rounded out the top five. Labonte would go on to have a stellar NASCAR career, winning the Sprint Cup championship twice (1984 and 1996), winning 22 races, and earning 506 top 10 finishes along with 57 poles. The 2015 Southern 500 resumes its Labor Day weekend place on the NASCAR Sprint Cup schedule on Sunday, Sept. 6.